We as UI designers don’t need 3D tools, fancy filters, or content-aware fill. 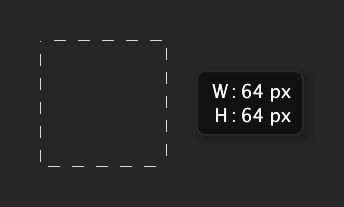 If you’re doing any icon design, you likely will need all the fancy filters and 3D you can get. Also, I wouldn’t conflate the current UI trends with what will always be needed by UI designers. There’s quite a few features I’d consider absolutely mandatory for a pro design tool. Fireworks, Illustrator, InDesign, have all been recommended as good alternatives for UI design, but they’ve never quite been able to win the hearts and minds of designers. In my opinion, Illustrator and InDesign fail some very basic quality tests when it comes to producing final image assets for UI design. I wouldn’t consider them viable options at all. In fact, I’d go as far as saying that Photoshop is the best of the bunch, when it comes to rendering quality. If that matters to you, there’s a good chance that nothing else will be acceptable. It really depends on how much emphasis you put on workflow and output quality. I’d also rate performance with giant documents as a mandatory. Quick workflow is important though, so there’s value in using something that makes sense for you. Compare to Photoshop, where you’d have to plug in a new radius, redraw your shape—making sure you replicate the exact dimensions! Worth noting that Photoshop CC now does this. Yep, it took a long time, but it’s here now. Select your marquee tool, open up your info palette, draw the distance between 2 objects, check results. Do you do this in Photoshop? Photoshop CS6 added on canvas measurements for most actions. You can change the color, border, size, whatever you like of a bunch of objects together, simultaneously, if their style is linked. While not as ideal as Linked Styles, linked Smart Objects and Smart Objects can do a similar thing in Photoshop. The best way that I can describe it is that Sketch allows me to play. And that’s refreshing. I feel the same way about Illustrator. I think the large canvas plays a big part in that feeling. This is the best response to this argument I've seen. I've given Sketch a try several times since it's release — it just doesn't compare to the feature set of Photoshop CC. It's also not as precise. Sketch adds padding to type on the top. So when you measure a distance of saga type box form a image it gives inaccurate readings. Sketch is a long way off replacing photoshop. This whole article was written just to gain some attention. The title is enough to lose my respect. It doesn't matter what tools you use. It's what you do with them. In my opinion sketch is not up to the standard of Photoshop - yet. I think pompous headlines like this one actually do disservice to Sketch. Shame, it's a wonderful app. I used to have to rely on my calculator most of the time in Photoshop, but now it’s as simple as plugging into the calculations into the app. All of the Adobe apps can do this as well. Illustrator can. I think InDesign can. Photoshop can’t (unless I’m missing something). I actually wanted to do the Sketch switch, and I tried – but back then (6 months) it had too many quirky bugs that annoyed me, so I went back to PS. Now I think I'll wait out for a paradigm shift in how designers work, and I'll probably switch to a Macaw-esque app instead of a Photoshop killer. Can someone explain to me the Sketch vs Photoshop war mentality? What's wrong with some of us preferring one over the other? I've yet to give Sketch a try mostly because I'm beyond efficient with PS, and I have no interest in learning a new program in order to perform the same actions. I'd rather spend my time learning something new that pushes my craft, like AE or C4D. I'm sure it's a fine program for others though. What's wrong with some of us preferring one over the other? Nothing at all. And given the price of non-Adobe tools, there’s nothing stopping professional designers from using a wide array of apps. If there’s something an app does better, maybe just use it for that? I'd rather spend my time learning something new that pushes my craft, like AE or C4D. I highly recommend checking out Cheetah 3D if you’re interested in adding some 3D to your toolchain (Photoshop’s 3D is a bit weak, imo). Oh thanks! Had yet to hear of Cheetah 3D, will def give it a good look. Mostly looking for a 3D program that plays well with AE, hence my interest in C4D especially with the updates in the Adobe CC products. These kind of articles keep cropping up and the discussion feels tired. I think Sketch is cool but Photoshop is industry standard for good reasons. Photoshop is powerful and familiar. Its fast with enough RAM and with Creative Cloud, the price feels negligible. Maybe Sketch is all vector and has some slightly better option controls and organization paradigms but at the end of the day : I can still do all of that in Photoshop and produce professional, high quality work on time. What incentive do I have to "dump" Photoshop?